"ASU needs to market itself to international students." Illustration published on Sunday, April 22, 2018.
International students represent a revenue stream that helps the University fill this gap — accordingly, they are an important part of ASU’s strategic business plan. International students pay almost three times the tuition and fees of Arizona residents and about $2,000 more in yearly tuition and fees than out-of-state students. The requirement that in-state university education be “as nearly free as possible” comes from Article 11, Section 6 of the Arizona Constitution. But decreasing investments from state government and increasing student populations complicate universities’ jobs. “We believe that the state is grossly underinvesting in the students of Arizona,” ASU President Michael Crow said in a March 2 interview with The State Press. Crow said the market value of the education ASU provides is close to $30,000. Thus, according to the University, the price of attending ASU for non-residents reflects the market rate of an education here and facilitates the University’s primary mission: serving in-state students. Earlier this month, the Arizona Board of Regents approved ASU’s tuition proposal for the 2018-2019 school year, which increased international and out-of-state student tuition by 3.5 percent. Rahul Verma, a mechanical engineering master’s student from India, said he’s thankful for the opportunity to attend ASU, but that increasing tuition costs for international students can be frustrating. He said he wished international students had more notice — at least two semesters — before tuition prices changed. ASU enrolled more than 10,000 international students at its metropolitan campuses in the fall 2017 semester, a number which has more than tripled since fall 2004. The University has had the largest international student population among U.S. public universities for the past three years. In fiscal year 2018, $155 million of ASU’s $2.9 billion gross revenue came from international undergraduate tuition. By fiscal year 2025, ASU hopes to increase that share to $207 million out of $4.3 billion. Lucie Lapovsky, a consultant specializing in higher education finance and governance and a Forbes contributor, said many universities are looking to international students to diversify and sustain their revenue streams as they face decreasing U.S. high school graduation rates and often insufficient financial support from state governments. “Once you have the world to look at, it makes a big difference in terms of recruiting efforts,” she said. According to a University spokesperson, the five countries that contribute the most international students to ASU are China, Saudi Arabia, Kuwait, India and the United Arab Emirates. “International students are crucial to the life of the institution, the quality of the education and the richness of the experience at ASU,” the spokesperson wrote in a statement. The impact of international students extends beyond ASU’s finances and student life. According to NAFSA: Association of International Educators, international students contributed a total of $36.9 billion to the U.S. economy and supported more than 450,000 jobs during 2016-2017 school year. International students enrolled at the ASU Tempe campus contributed $351.4 million and supported more than 5,000 jobs, NAFSA reported. Beyond the Tempe campus, students at the Polytechnic, Downtown and West campuses contributed an additional $37.7 million and supported more than 300 jobs in Arizona. Where international students study depends on a variety of social, political and economic factors in their home and host countries. ASU’s business plan notes factors including “changes in oil revenues in some countries, uncertainties about the American political scene in others, and internal politics in yet others” have recently affected the international student market. In its 2016-2017 academic year report, the Institute of International Education noted that while more than one million international students studied in the U.S., there was a general “flattening” trend for international student enrollment. But despite the concerns expressed in the University business plan, ASU said it's been isolated from these trends so far. "We continue to see strong application and enrollment trends from students around the world and have no data that suggests that isolated events in the U.S. are making an effect on our enrollment," a University spokesperson said in an email. Rachel Banks, director of public policy for NAFSA, said isolationist policy and rhetoric — for example, the travel ban — coupled with increasing competition from universities in countries such as Australia, Canada and China may discourage international students from choosing to come to the U.S.
She said experiential learning opportunities are particularly important to many international students, as are thoughtful policies that demonstrate the U.S. is a welcoming country. Verma said safety concerns are an important factor for many international students when choosing where they’ll study. He said international students also look for schools with an existing community of international students, particularly from their own country. Mosaic International Connections, an ASU student club, is devoted to preserving that sense of community. Part of this imperative is informing international students about relevant political realities. Verma recently helped the club organize an event called “Gun Violence: The Global Perspective.” The event featured a panel of gun violence and public safety experts and gave students an opportunity to ask questions and voice their concerns. Verma said gun violence in the U.S. — particularly in the form of mass shootings — left him with some culture shock, because in India gun regulations are much stricter. Verma said the club’s next event will focus on refugee issues. As universities continue to look abroad to fulfill their obligations to their students at home, Lapovsky said, they need to be aware of changing domestic and international dynamics and diversify the the countries from which they recruit. 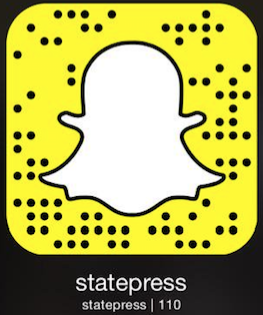 Editor's Note: Rahul Verma was previously an opinion columnist at The State Press. Reach the reporter at maarmst7@asu.edu or follow @MiaAArmstrong on Twitter.